1. Apple started its plan to kill optical drive in 2012 and it's almost completed now. 2. Still, thousands of millions of people are holding a mass of old discs, and maybe are buying new movie DVDs, having no idea how to cope with them. Although online streaming service is rising, DVD disc has not been ditched at all. But we do need to catch up with trends, by ripping DVD to computer/home server in digital formats, which basically can be realized with free DVD rippers, such as HandBrake. Mac users may get trapped by how to backup DVD with no DVD drive. Well, there are two ways: get an external drive or rip DVD to Mac on Windows PC. Note: Handbrake is no doubt great, especially for Mac OS, ripping DVD fast at simple steps. But free things always come with limitations. If you are trying to rip copy protected DVD to Mac with HandBrake, it's time to get a HandBrake alternative. * Bypass all DVD encryptions, incl. Disney X-project DRM, CSS, region code, RCE, Sony ArccOS, UOPs. * Constantly updated to rip newest protectd DVDs to 320+ formats/devices like MP4, AVI, iOS, Android, etc. WinX DVD Ripper Platinum does a very good job backing up and transcoding your DVD collection, including your copy-protected discs. It worked flawlessly in my tests. WinX DVD Ripper Platinum is a very comfortable easy to use DVD ripper that worked fine with every DVD we asked it to rip. 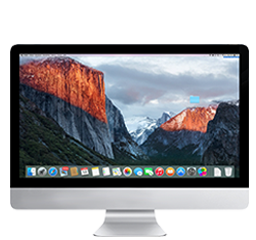 HandBrake is compatible with various platforms, such as Mac, Windows, Ubuntu and others. Due to the lack of external optical drive, we choose to get HandBrake for Windows and do the DVD to Mac ripping test. Follow the next steps and let's learn how to rip DVD to Mac. 1. 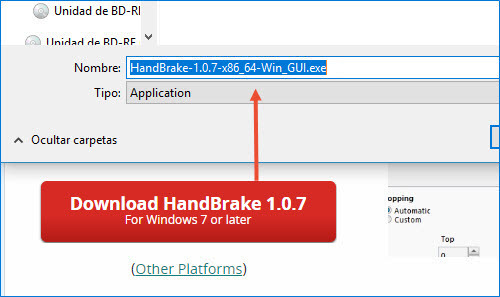 Download HandBrake-1.0.7-x86_64-Win_GUI.exe from its official site (https://handbrake.fr/). The latest version for Windows Vista or later is 1.0.7. 2. Open the .exe file and follow the wizard to get it installed, which normally takes you several seconds. 3. Open this DVD ripper for Mac. 1. Click Source in the top left corner, choose DVD disc, e.g. H:\ (TRANSFORMERS2_DISC1), and a banner pops up saying "Scanning source, please wait". Note: Common ones will be loaded successfully right away, while copy protected ones like Disney DVD will end in error after scanning up to 99 titles one by one. 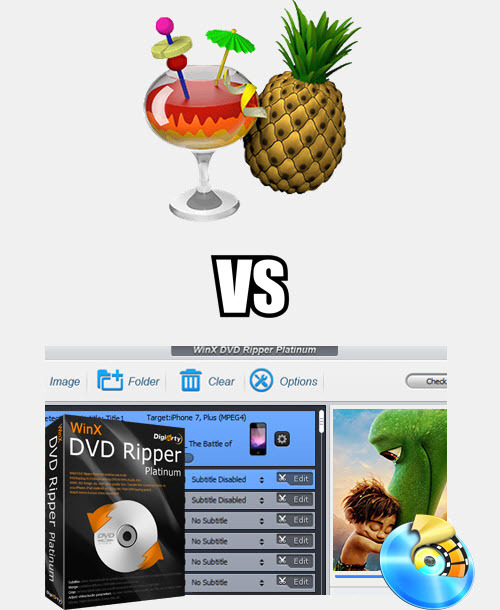 To rip encrypted DVD to Mac, please turn to WinX DVD Ripper Platinum. 1. Click Browse to set the file destination. 2. Press Start button right beside Source and wait. Normally, ripping a 2.5h DVD disc to Mac/PC/MP4 needs about 30 minutes, output in a 2GB around file. How to Rip Copy Protected DVDs to Mac? Unblock all encrypted DVDs on PC for playing on Mac OS device. Rip protected DVDs on/to Mac, iPhone, iPad, Android, MP4, etc. HandBrake, as we mentioned, is truly free and fast. The only one thing left to puzzle us is that if we can find a best HandBrake alternative that can cope with encrypted DVDs while keeping the fast DVD ripping speed? Certainly yes. Where HandBrake disappoints you, WinX DVD Ripper Platinum picks up the slack. 1. Both of this two DVD to Mac rippers rips DVD disc/ISO/VIDEO_TS folder fast, out of Super Encode Engine, Hyper-threading tech and kinds of encoding methods. As to the main interface, HandBrake looks more complicated because of too many adjustable settings. 2. WinX DVD Ripper Platinum is built in with 350+ profiles, facilitating output file/gadget selection. Moreover, it enables full copy of DVD movies within only 5 minutes. 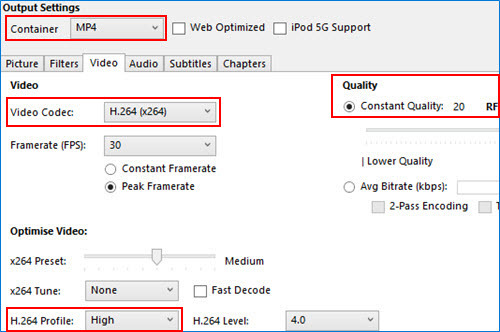 Although HandBrake only has MP4 and MKV, in fact it meets the needs of most people. 3. [Most Important] WinX DVD Ripper Platinum can bypass all DVD copy protections, incl. DVD CSS, region code, RCE, Sony ArccOS, UOPs, Disney X-project DRM, and constantly update to support new encrypted DVDs. Install libdvdcss and HandBrake may access CSS. As for others, HandBrake has no solutions at least for now. 1. Download WinX DVD Ripper Platinum free trial or go get a full Giveaway version with license on its 11th anniversary giveaway. 2. After the installation, launch the program and click DVD Disc to load the file. Normally main title will be auto selected, meaning that copy protection has been unblocked. 4. Set a destination folder and click RUN. If any error happens, select Safe Mode and try again.